From the World to Your Wall, quite – that’s the strapline for what’s becoming Britain’s premier poster specialist, Film Poster Art. 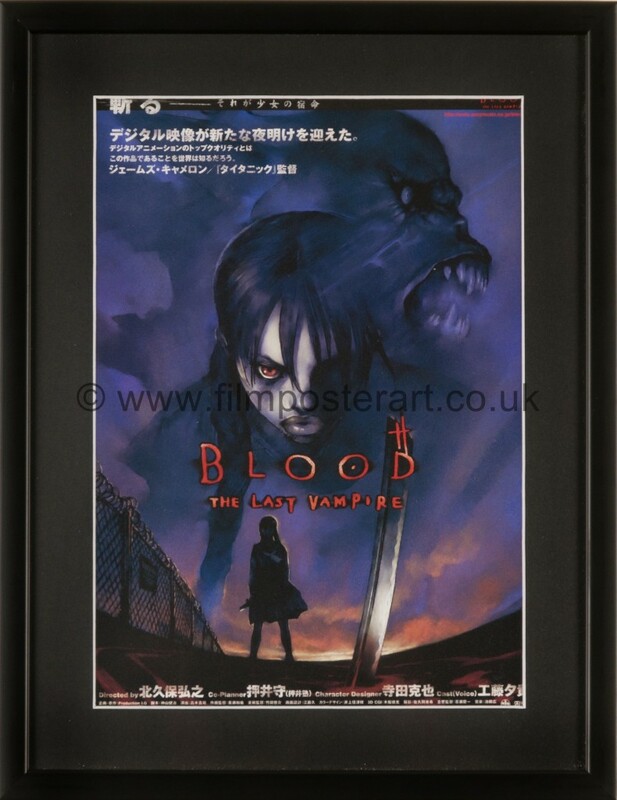 The Overlook Movie Store has teamed up with the awesome chaps from Film Poster Art to offer one lucky reader the chance to win a 2000 Blood: The Last Vampire Film Poster worth £45.00. It comes framed and mounted, ready for your wall! All you have to do to have a chance of winning is click on the link below and tell the Film Poster Art guys the name of the scariest movie you’ve ever seen. It’ll take one minute and it’s completely FREE! You can enter the competition here. The winner will be picked on 31st October.